Redcliffe Partners is a leading Ukrainian law firm that provides a full range of legal services to large national enterprises, international companies, financial institutions and private investors who are conducting business or investment activities in Ukraine. We are involved in the majority the largest and most complicated transactions and litigation cases in Ukraine. The basis of our work and dynamic development is a powerful international team, practical experience in the most active business sectors, and impeccable professional ethics and business transparency. Redcliffe focuses primarily on Antitrust, Banking and Finance, Capital Markets, Compliance, Corporate/M&A, Debt Restructuring and Insolvency, EU Law, Intellectual Property, International Arbitration and Dispute Resolution, Litigation, Real Estate, Tax and Tax Litigation. Redcliffe offers legal advice across industry sectors such as Agribusiness, Energy and Natural Resources, Financial Institutions, Fintech, FMCG and Retail, Food and Beverage, Industrial and Manufacturing, Infrastructure and Transport, Pharmaceuticals, Private Equity, TMT and Visual Arts, Crafts and Design. Redcliffe is recommended for Banking and Finance, Capital Markets, Corporate law, M&A, Debt Restructuring and Energy by all international legal directories including Chambers Global, Chambers Europe, the Legal 500 and IFLR 1000. Our team tops the list of law firms by the number of Ukraine’s largest finance and M&A deals in 2017. Redcliffe’s clients are major international and local companies from various industry sectors, global private equity houses and financial services institutions, including Abbott Laboratories, Arawak Energy International, BASF, B.B. Energy, BNP Paribas, Cadogan Petroleum Plc, Ciklum SA, Citigroup, Credit Suisse, Deutsche Bank, EBRD, European Investment Bank, Expert Petroleum, Glencore International, IFC, ING, JPMorgan, Mastercard, MHP, Mitsubishi Corporation, Monsanto, Morgan Stanley, Raiffeisen Bank, Skoda JS, Sumitomo Electric, Ukrnafta, UniCredit Bank, VEON, Vitol, Yildirim Group. There is a direct connection between the availability of finance and the jurisdiction in which a borrower operates. Access to finance, both within Ukraine and on international markets, affected by economic and political externalities, remains limited for Ukrainian borrowers. The reduced availability of financing has contributed to a decrease in industrial production and investment generally. The share of non-performing loans in credit portfolios of Ukrainian banks remains high, at over 50%. Ukraine remains highly dependent on the IMF programme and support of international donors, which permitted Ukraine to return to sovereign borrowings on international capital markets in 2017 and to raise increased demand for, and investment in, Ukraine’s domestic government bonds. International support for Ukraine is premised on the implementation of deep and comprehensive reforms, including stepping up protection of creditors’ rights, which, in the context of secured finance, means the efficient taking and enforcing of security interest over assets in Ukraine. The legal regime for the taking and enforcing of security interest over certain assets has been improved recently. The Law of Ukraine On Amendments to Certain Legislative Acts of Ukraine in respect of Corporate Governance in Joint-Stock Companies of 23 March 2017, improved the legal framework for the taking and enforcement of security interests over property rights to funds on bank accounts and equity securities: contractual restrictions on the use of funds on pledged bank accounts were made enforceable against owners; it is now permitted by law to make the termination and/or amendment of bank account agreements conditional on the creditor’s consent; and creditors generally were given broader access rights to information about transactions through pledged bank accounts (previously, the applicable banking secrecy rules precluded such access to information). In addition, contractual debiting and the sale of the right of claim to funds on a pledged bank account were introduced as additional out-of-court enforcement instruments available to creditors in default situations, and the out-of-court enforcement of security interest over equity securities on the basis of the pledgee’s default notice and the pledge agreement was made permissible by law. 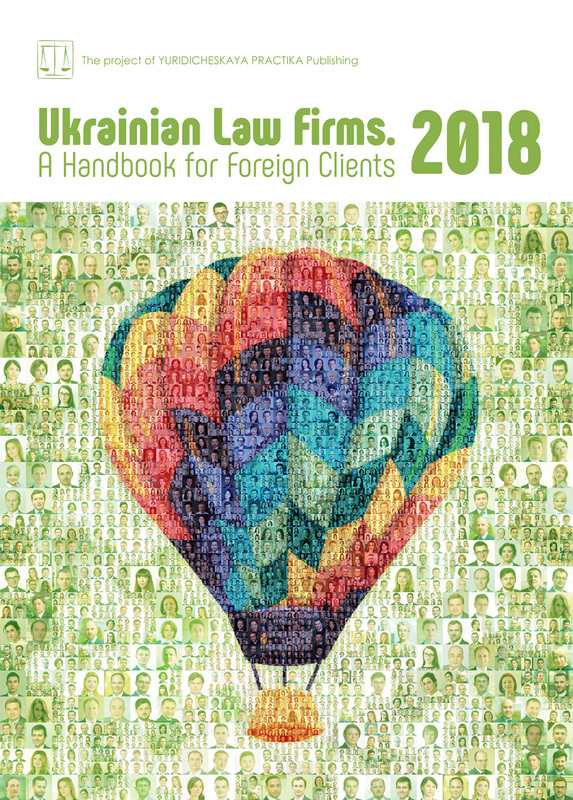 At the same time, gaps and inconsistencies of various elements in applicable Ukrainian legislation prevent creditors from realising their enforcement rights in full. Further reforms are necessary to, amongst other things: recognise floating charges, and the status of a security agent taking and enforcing security interest in its own name but for the benefit of lenders (while not acting as lender); improve the legal framework for the taking and enforcing of a security interest over a participation interest in a limited liability company and unfinished construction objects; and enhance the protection of senior secured creditors against junior secured creditors at enforcement. The concept of a floating charge is not recognised under Ukrainian law. In practice, lenders take security over diverse assets to achieve the effect of a floating charge, such as shares, equipment, real estate, bank accounts, receivables, and IP. This approach is cumbersome and inefficient in both time and cost: it exposes lenders to additional risks and borrowers to additional costs. Lenders must constantly monitor the collateral and promptly initiate amendments to security documents if the features of the collateral change during the lifetime of the loan. When taking security over receivables, lenders must carefully monitor the term of the underlying contract because, if it expires, the security interest will also terminate. The Civil Code of Ukraine of 16 January 2003 (the Civil Code) recognises the taking of a security interest over a business as a going concern. The Civil Code uses the generic term enterprise or any part of it in the description of the type of business, which may be subject to a security interest. Under paragraph 1 of Article 62 of the Commercial Code of Ukraine of 16 January 2003 (the Commercial Code) the term “enterprise” is defined as “[a]n independent subject of business, created by a competent state or municipal authority or other subjects to satisfy social and private needs through systematic production, scientific, trade or other business activity in accordance with laws”. The argument can be made that the use by the drafters of the Civil Code of the broad term “enterprise” in the description of the type of business, which may be subject to a security interest, suggests that the intention was to permit, amongst other things, the creation of a security interest over any type of registered business, irrespective of ownership type and form. Certain other legislative acts of Ukraine also recognise that the security interest may be created over the business as a going concern. Under paragraph 3 of Article 29 of the Law of Ukraine On Farm Enterprises of 19 June 2003, “the pledge may be taken over a farm enterprise as an integral property complex, separate assets or other property with respect to which civil rights and obligations may be created”. Although the principle that security may be taken over a business as a going concern is established under Ukrainian law, it was not implemented properly into Ukrainian legislation to allow for its practical use in secured finance transactions. The determination of ownership rights to the business as a going concern, the composition of the assets, and valuation are among the issues which must be further considered. Certain difficulties arise when taking a security interest over assets under construction. By way of an illustrative example, we consider the situation when a security interest was duly created over an unfinished construction object and a lender then seeks to create a security interest over the finished building upon completion of the construction. The creation of the security interest over the finished building would consist of the following steps: (i) the cancellation of the registration number of the unfinished construction object in the State Register of Property Rights to Real Property (the “Register”); (ii) the cancellation of the records on the ownership right and security interest over the unfinished construction object in the Register; (iii) the creation of the new registration number for the finished building in the Register; (iv) the registration of the ownership right to the finished building in the Register and the transfer of the records on the security interest over the unfinished construction object in the new section of the Register in respect of the finished building; (v) the signing of a supplemental agreement to the original mortgage agreement with respect to the change of the collateral from the unfinished construction object into the finished building; and (vi) the amendment of the description of the collateral in the Register, i.e. from the unfinished construction object to the finished building. Any deficiency in the process, such as the registrar’s mistakes during cancellation of the records about the unfinished construction object and creation and transfer of records in respect of the finished building in the Register, or inconsistencies in the description of collateral in the mortgage agreement and in the Register, may create limitations at enforcement. Competition between senior and junior secured creditors has also been a controversial matter under Ukrainian legislation. Under Paragraph 5 of Article 29 of the Law of Ukraine On Protection of Creditors’ Claims and Registration of Encumbrance of 18 November 2003 (the Encumbrances Law), the out-of-court enforcement by acquisition of ownership rights to the collateral discharges junior security interests, but senior security interests still continue in full force and effect after the acquisition of ownership rights to the collateral by the junior secured creditor. Now, when a junior secured creditor initiates the out-of-court enforcement by way of sale of collateral to a third party, the situation is different. Under Article 30 of the Encumbrances Law, the out-of-court enforcement by way of sale of the collateral to a third party discharges all security interests and the purchaser acquires the collateral free and clear of all security interests. Ukrainian law grants a senior secured creditor the statutory right of first refusal, which is valid for 30 days from the date when the information about enforcement was registered in the relevant public register. If the senior secured creditor does not express in a timely manner his intent to exercise his first refusal rights with respect to the collateral, the junior creditor may sell the collateral to the purchaser who offered the highest price, and the purchaser acquires the collateral free and clear of all security interests. Under Ukrainian law the senior secured creditor does not have legal instruments to block and/or prevent the sale of collateral by the junior secured creditor other than by exercising his first refusal rights, which are subject to a tight deadline and other conditionality unfavourable to the senior secured creditor. There are certain other factors and risks which contribute to the perception of Ukraine as a creditor-unfriendly jurisdiction: limited enforceability of a security interest over a participation interest in a limited liability company (which is the most widespread form of legal entity in Ukraine); unfavourable calculation of the limitation period with respect to enforcement claims under security documents; the possibility to transfer collateral to a good faith purchaser and in this way release the collateral from the security interest; the risk of the unenforceability of claims under suretyship agreements if the amount of secured obligations was increased without the surety’s prior consent; and the failure to recognise the independent role of a security holder — separate from lenders — in creating, holding, managing, and enforcing the security for the benefit of various participating lenders in the context of syndicated lending. The gradual resolution of those legal issues which contribute to the perception of Ukraine as a creditor-unfriendly jurisdiction, and legislative changes in accordance with best international practice, would contribute to improving the investment climate in Ukraine, provide access to finance on better terms, and signal Ukraine’s continuous commitment to reforms.